New research provides evidence that cannabis dependence is linked to altered activity in the striatum when receiving a socially rewarding stimulus. The study has been published in the journal European Neuropsychopharmacology. “Current addiction theories propose that repeated drug use leads to lasting changes in motivational processes mediated by drug-induced adaptations in the brain reward systems, particularly the striatum,” said study co-author Benjamin Becker of neuSCAN Lab and the University of Electronic Science and Technology of China. “Previous studies had shown altered striatal reactivity towards monetary rewards in cannabis users. However, money represents a learned reward and may have become itself associated with buying drugs. In contrast, most natural rewards are social in nature — for example, pleasant interpersonal touch or seeing an attractive person,” Becker explained. In the study of 23 cannabis-dependent men and 24 matched non-using controls, participants were introduced to a male and female experimenter before entering an fMRI scanner. 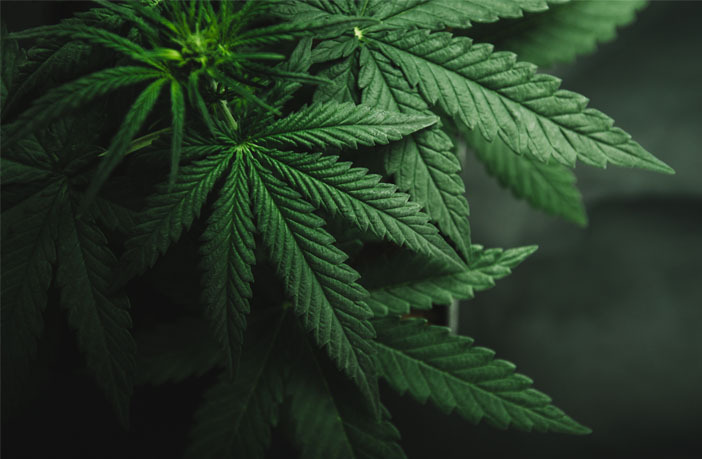 Participants were considered cannabis dependent if they fulfilled the DSM-IV criteria for substance dependence, such as experiencing unsuccessful efforts to cut down or control their cannabis use. For the study, they were required to abstain from cannabis for 4 weeks to control for acute effects of the drug. While in the fMRI scanner, the participants received repeated soft strokes to the shin of both legs. They were led to believe that the touch was applied either by the female or the male experimenter. But the soft strokes were always applied by the male experimenter to control for differences in touch. Overall, the participants rated being touched by the female experimenter as more pleasant than being touched by the male experimenter. But cannabis users tended to rate the pleasantness of female touch significantly lower than the control group. “Comparing the perceived pleasantness of the social touch we found that cannabis users displayed a significantly attenuated increase of reward experience upon female compared to male touch compared to healthy controls,” Becker told PsyPost. “Taken together, our findings suggest that cannabis dependence is associated with lasting alterations in processing of social rewards and blunted striatal reward reactivity towards natural rewards, Becker continued. Though the researchers found differences between the cannabis users and the control group, it is possible that cannabis use was not the cause of those differences. “We examined participants with an established cannabis dependence — thus blunted processing of natural rewards may have preceded the development of the dependence. It is conceivable that reduced responses to natural rewards increase the vulnerability for escalating cannabis use,” Becker explained. The study, “Altered striatal reward processing in abstinent dependent cannabis users: Social context matters“, was authored by Kaeli Zimmermanna, Keith M. Kendrick, Dirk Scheele, Wolfgang Dau, Markus Banger, Wolfgang Maier, Bernd Weber, Yina Ma, René Hurlemann, and Benjamin Becker.